Today I have a card that I made for the current Freshly Made Sketches challenge. To start with, I chose an image from an older Penny Black set called Enchanted Garden, stamped, coloured and fussy cut it. I created my background panel by gently applying a layer of Bundled Sage distress ink using a Tim Holtz blending brush to create an ombre effect. I then used an Ultimate Crafts embossing folder that seemed to match the image very well but which, somewhat worryingly, was brand new but I have no recollection of buying! I stamped a Clearly Besotted sentiment on a strip of grey card an then cut a slightly longer strip of clue glitter card and then set about assembling the card. I added a few glitter drops as a finishing touch! Another poppy card today. This beautiful image is from an older Penny Black stamp and I coloured it with my Prismacolor pencils. The sentiment is also by Penny Black. I had originally planned to add a background stamp or stencil to the card, but once I coloured the image, I decided to keep the card ultra-CAS. 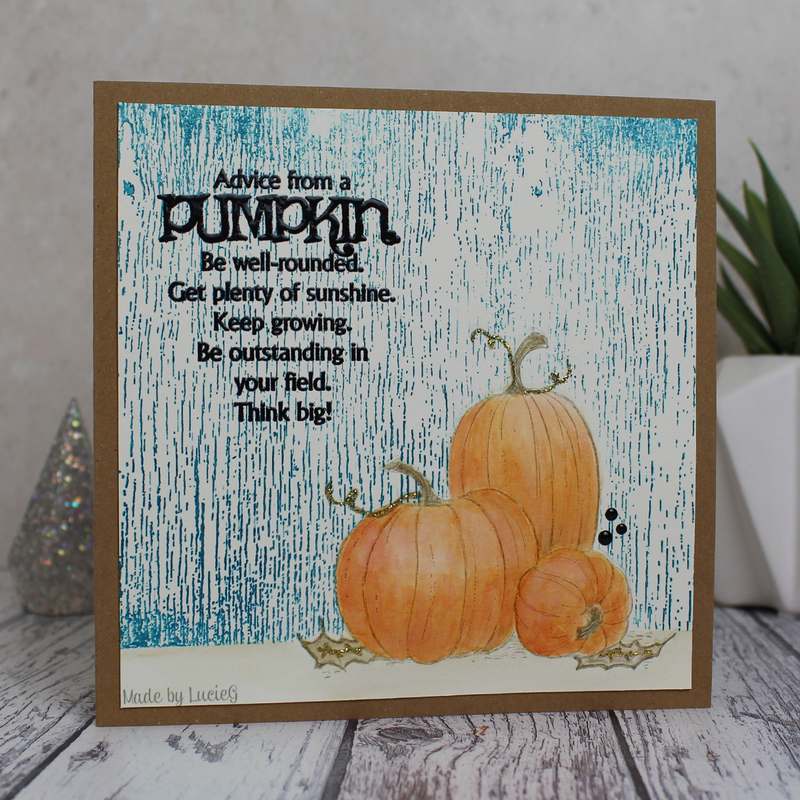 I have a quick one layer card to share with you today. 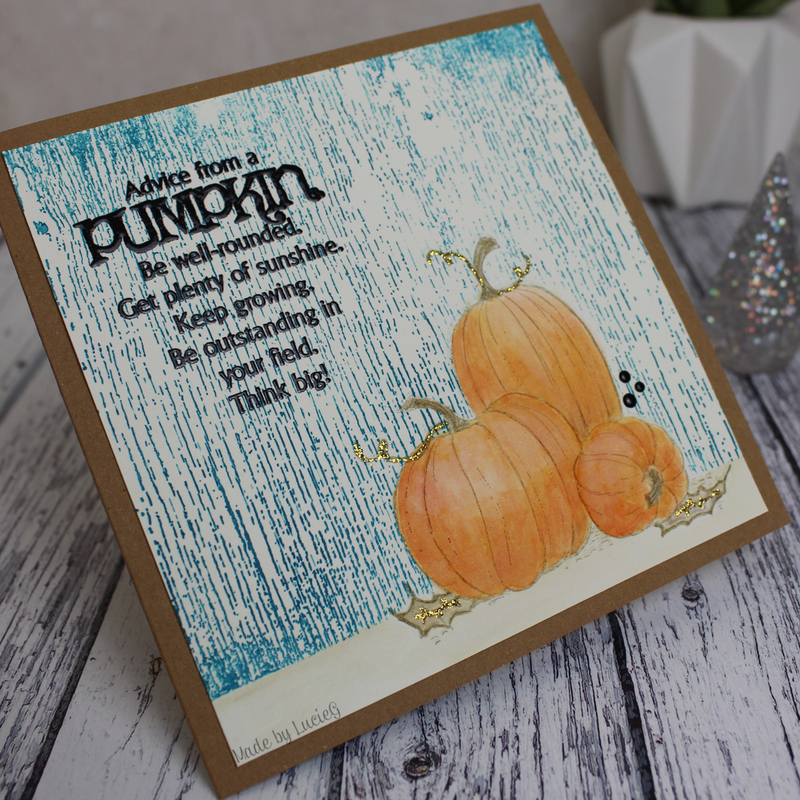 This one uses a large image from Penny Black’s Berries Delight stamp set. This image is tall, but I still wanted to use a standard UK card base for my card so I stamped the image on a larger piece of card which I trimmed down after I had coloured it. After I had finished colouring, I decided to smoosh some distress ink on the background – a bit stressful doing this AFTER I had coloured the image, but I took my time and was very careful and didn’t ruin my colouring! Phew! To finish the card, I stamped a sentiment from the Penny Black Grateful Heart sentiment set. I’m entering this into the current Time Out challenge.